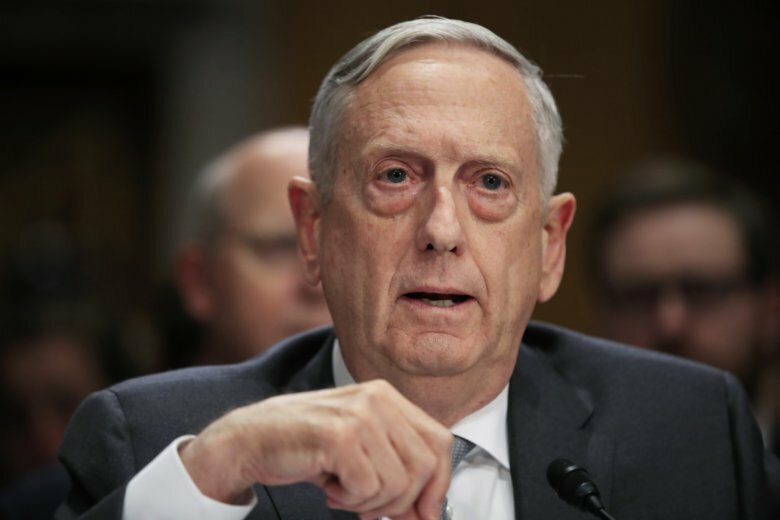 PARIS (AP) — Defense Secretary Jim Mattis said Monday that he doesn’t see the U.S. relationship with China worsening after a series of setbacks that officials said include canceling the Pentagon chief’s planned visit to Beijing this month. Mattis said the U.S. has to learn how to manage its relationship with the communist nation. U.S. defense officials told The Associated Press on Monday that Mattis had dropped plans to visit China amid rising tensions between Beijing and Washington. They spoke on condition of anonymity to discuss internal planning. Although the trip was never publicly announced, Mattis had planned to visit Beijing in October for two-plus-two security talks with his Chinese counterpart as well as U.S. Secretary of State Mike Pompeo and Pompeo’s Chinese counterpart. The Pentagon has made no public statement about Mattis’ change of plans. Relations between the U.S. and China have deteriorated, as escalating trade disputes and tariff hikes have been exacerbated by a newly announced U.S. military equipment sale to Taiwan and some recent military operations. In past years, military ties have been somewhat stable, but a series of events this year have roiled the waters. At stake is President Donald Trump’s effort to enlist China’s help in persuading North Korea to give up its nuclear weapons. China is North Korea’s longtime ally and has tended to insulate the North from American pressure to disarm. Just last week Beijing canceled a Washington visit by the head of its navy and denied a request for a U.S. Navy ship to make a port visit next month at Hong Kong. China also protested a recent mission by nuclear-capable U.S. B-52 bombers over the disputed South China Sea, calling the flights “provocative.” And on Sunday, the U.S. Navy destroyer USS Decatur sailed close to Chinese-claimed islands in the South China Sea. Such freedom-of-navigation operations have been somewhat routine near man-made reefs and islands that China has militarized in the South China Sea. But Beijing vehemently objects to U.S. ships sailing within 12 nautical miles (22 kilometers) of the outposts. China’s military buildup in the waterway, which has included placing airstrips, radar domes, missile systems and other military equipment on the islands, prompted Mattis in May to disinvite Beijing from participating in a multinational naval exercise in the Pacific. At the center of the tensions is a growing U.S.-China trade dispute. Each country has imposed tariff increases on the other’s goods, and Beijing has accused the Trump administration of bullying. In recent days, however, China’s anger spiked when the U.S. announced a $330 million military sale to Taiwan. And Beijing also opposes a U.S. decision to issue a visa ban and assets freeze on China’s Equipment Development Department and its director, Li Shangfu. The U.S. action relates to China’s purchase from Russia of Su-35 combat aircraft last year and S-400 surface-to-air missile system-related equipment this year. Those purchases violated a 2017 law intended to punish the Russian government for interfering in U.S. elections and other activities. As temperatures rose, the Chinese foreign ministry warned of “severe damage” to bilateral relations if the Taiwan sale goes through. Two B-52s flew over the South China Sea last week in what the Pentagon called a routine mission. Separately, two B-52s also flew over the East China Sea, where China has declared an air defense identification zone and claims uninhabited islands controlled by Japan. Beijing considers the self-ruled island of Taiwan to be a renegade province. Washington has no official relations with Taiwan’s democratically elected government but is obliged by U.S. law to see that it has the means to defend itself. Mattis visited Beijing in June, becoming the first Pentagon chief to do so since 2014. He flew to Paris on Monday and is expected to meet with senior French leaders there, then head to Brussels for a meeting later this week of allied defense ministers.